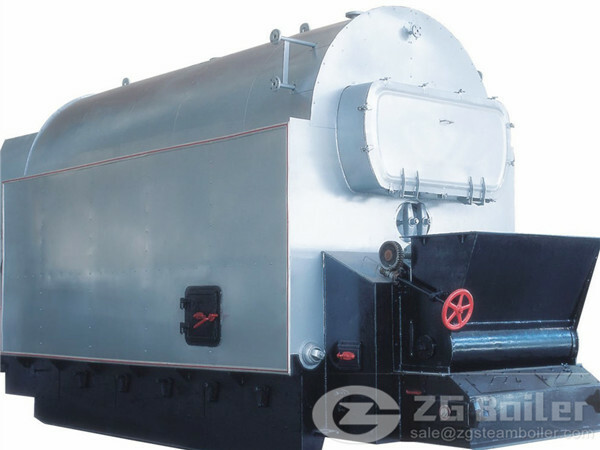 ZG horizontal chain grate thermal coal fired boiler has many characteristics. 1. Rolling type grate: Burning coal in rolling mode, with high burnout rate, thoroughly treated side-sealed air, suitable to burn II III soft coal and coal gangue. 2. Adoption of automatic temperature control function is made to achieve stable heating and precise temperature adjustment, which may meet different requirements. 3. It adopts perfect running control and safety monitoring device with safety, reliability and easy operation. 4. Fast packaged or assembled for shipment with easy transportation, short installation period, and fast return of Investment. 5. The boiler features heat preservation performance with high-efficiency heat preservation material and state-of-the-art construction technology, lower radiating loss of boiler wall. 6. Fast temperature rise, high thermal efficiency, with overload capacity at a certain degree to ensure output of boiler. 8. Outstanding energy-saving effect, saving energy by 10-15% compared with similar products, return of investment for the equipment in the whole boiler room may be attained by capital of saved energy for one year operation. All of the above are the characteristics of horizontal chain grate thermal coal fired boiler. This type of boiler has many advantages. First of all, it is very safety. Secondly, it is very efficient. It will meet the needs of you. If you are interested in the ZG horizontal coal fired chain grate thermal boiler, please contact us.